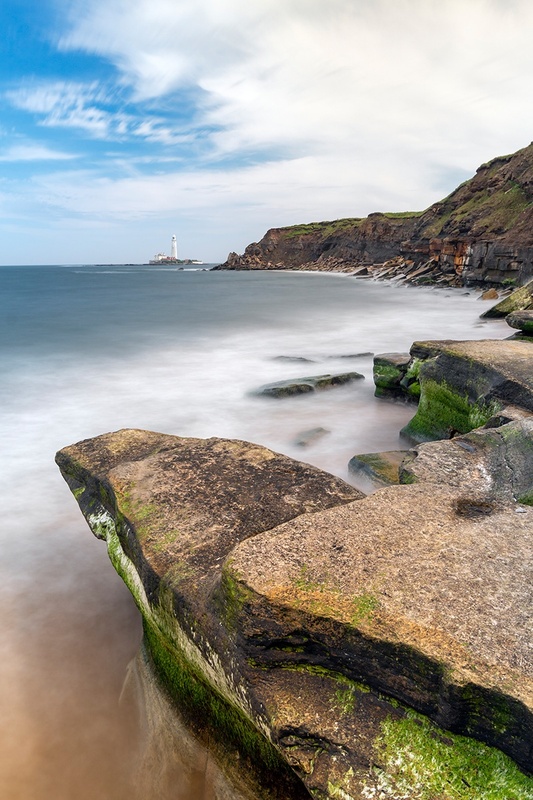 The workshop starts at the iconic location of St. Mary’s Island near Whitley Bay and finishes at Collywell Bay near Seaton Sluice. The workshop is timed to to coincide with high tide (approximately 1.00pm). Bring with you the camera equipment you already own. 10-stop ND filters invariably require the use of tripods, but don’t worry if you don’t have one: I should be able to lend you one for the workshop. Some walking over uneven ground may be involved, so a reasonable degree of fitness will be needed, along with sturdy, waterproof shoes, walking boots or wellingtons.